It is harder to forgive Bhattarai because he is an intelligent man capable of seeing the world from other people’s perspective. A shrewd politician, Baburam Bhattarai seeks to present himself as abreast of the latest progressive thinking in the world. But like his Bolshevik heroes, there is inconsistency between his words and deeds. Lacking humility, he is unwilling to acknowledge his mistakes and misjudgments—sometimes very grave ones—as he always seeks to rationalize them by invoking certain historical and philosophical contexts, or by blaming others.As a PhD student at India’s Jawaharlal Nehru University, BRB wrote a long and rambling dissertation “The Nature of Underdevelopment and Regional Structure of Nepal: A Marxist Analysis”. It was a cliché-filled ideological treatise outlining his analysis and vision for a prosperous Nepal. It was to implement those ideas that he helped found the Maoist party as a “new force” of that era. BRB’s greatest “contribution” to Nepal so far has been his “magna carta” of the 40-point demands. It triggered a fratricidal civil war that caused untold suffering to the Nepali people and derailed Nepal’s economic development and peaceful evolution of democracy. Through this blueprint, BRB unleashed the worst bloodbath in Nepal’s history. No other initiative of any political leader in the history of Nepal has wrought more agony and destruction. It is important to recall the 40-point blueprint, before BRB whitewashes himself with the fragrant elixir of the Naya Shakti manifesto. The 40-point demands were a calculated publicity stunt. Most of them were simply impractical even if the government had agreed to them in principle. Not surprisingly, the Maoists launched their “people’s war” two days before their deadline. The 40 demands were a hodgepodge of real issues, populist slogans and minor parochial demands like the release of their comrades under custody. Some demands were completely against the norms of democracy and human rights—for example the ones for banning of “imperialist and colonial culture” and severe restrictions and even prohibition of NGOs and INGOs. Many economic demands (guaranteeing employment or unemployment allowance for all; free health care, education, electricity and roads for all) would have required huge investment of public resources that a poor country like Nepal simply could not afford, or sustain. Some economic policies BRB advocated were against private property ownership (confiscation of land “under the control of the feudal system” and its distribution to landless and homeless people; or nationalization of property belonging to “middlemen and comprador capitalists”). Demands such as ending corruption, smuggling, black-marketing, bribery, etc. were nice-sounding populist slogans that few governments in the world have actually achieved, and the Maoists certainly had no formula for doing so. Many Maoist demands were mutually contradictory. They called for full freedom of press and information and communications media, while demanding a ban on Indian newspapers and Hindi movies to control “cultural pollution of imperialists and expansionists”. 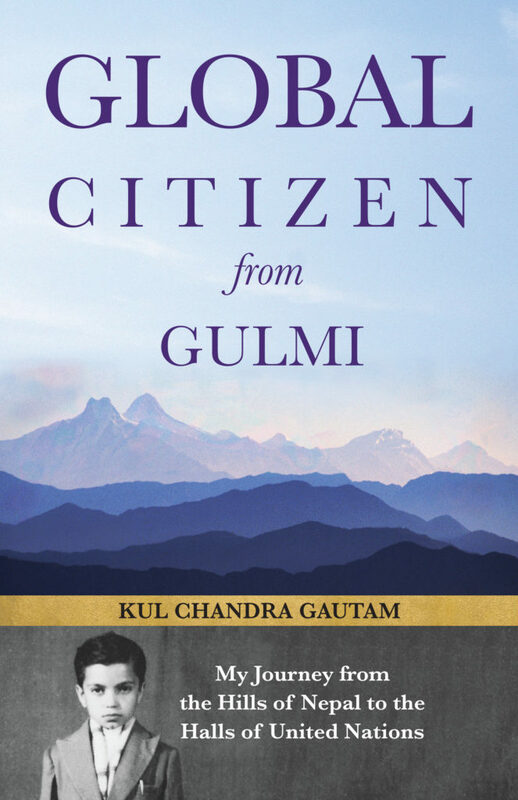 Many demands were intended to stoke anti-Indian sentiments: abrogation or repeal of all “unequal” bilateral treaties; banning vehicles with Indian license plates; and closure of Gurkha recruitment in foreign armies with guarantee of dignified employment for all Nepalis in Nepal. On the whole, the Maoist demands were largely un-implementable populist slogans intended to arouse hyper-nationalistic, anti-Indian sentiments. Most demands were contrary to democratic norms; and economically foolish or unaffordable. No wonder when the Maoists themselves eventually came to power after the Constituent Assembly elections of 2008, and twice led the government, they made no attempt to implement most of their original demands. To the contrary, when BRB became the prime minister, he signed several bilateral agreements with India, including BIPPA, a sensible agreement but one that directly contradicted his own 40-point demands. For anyone with any intellectual depth and progressive, democratic convictions, the 40-point demands comprised a shallow populist pamphlet that would fail the test of democracy, human rights and economic common sense. Perhaps Maoist Supremo Pushpa Kamal Dahal, an opportunistic demagogue, and Mohan Baidya “Kiran”, a doctrinaire ideologue, can be forgiven for their dangerous follies. It is harder to forgive Bhattarai because he is an intelligent man capable of seeing the world from other people’s perspective. Knowing how his well-intentioned but misguided policies have brought great harm to this nation, one is reminded of the old saying that the road to hell is paved with good intentions. Certainly, the ideas BRB is propounding today on behalf of the “New Force” are far more sensible than his earlier prescriptions for Nepal’s development. Under the stewardship of a more principled and pragmatic leader, many of us would enthusiastically embrace these ideas. But BRB has an indelible record of using all possible means to achieve his goals, including enlisting the support of many people with good reputation only to dump them later as “useful idiots”. If he now seeks to absolve himself of such blemish and make a new beginning as a more benign and benevolent leader, he must come clean and unequivocally accept personal responsibility for the catastrophic follies he planted in this country that will continue to haunt us for decades. BRB’s dangerous follies include glorification of a culture of violence and revenge; ruining the futures of thousands of children by encouraging them to drop out of school to join his revolution, including as child soldiers; using the ethnic card to attract gullible youth from poor and historically marginalized communities with false promises of autonomous provinces and the right to self-determination; assuring his party’s protection, amnesty and impunity to perpetrators of heinous crimes against humanity; foisting a jumbo Constituent Assembly at great cost to the nation over a prolonged period with the intention of using it as a rubber-stamp to endorse his pre-cooked revolutionary ideas claiming they enjoyed janādesh (“people’s mandate”), while dismissing the sovereign people’s vote in free and fair elections as procedural matādesh (“voters’ verdict”). d) Commitment to submit himself and his allies to the verdict of a genuine Truth and Reconciliation Commission that meets international norms and standards. Nepal certainly needs more bibeksheel (judicious) new political forces both as viable alternatives to our jaded old parties, and to challenge them to transform themselves into genuinely development focused movements. May BRB’s New Force succeed in its new mission after its paramount leader asks for and receives the Nepali people’s forgiveness for his murderous mayhem.